Claimed off the waivers from the Blue Jays, Lawrence was one of several pitchers that went back and forth from Seattle to Tacoma. The Mariners continue to clean up their 40-man roster with the World Series near the end and the deadline for players on the 60-day disabled list to be re-added nears. On Tuesday afternoon, versatile right-handed pitcher Casey Lawrence was removed from the 40-man after clearing waivers and outrighted to Class AAA Tacoma. The Mariners now have an open spot on their 40-man roster. Lawrence, 30, was claimed off waivers from the Blue Jays on May 11. He rode the roster-move shuttle from Seattle to Tacoma, making 23 relief appearances for the Mariners in 2017. Lawrence posted a 2-0 record with a 5.57 ERA, striking out 45 batters in 42 innings pitched. 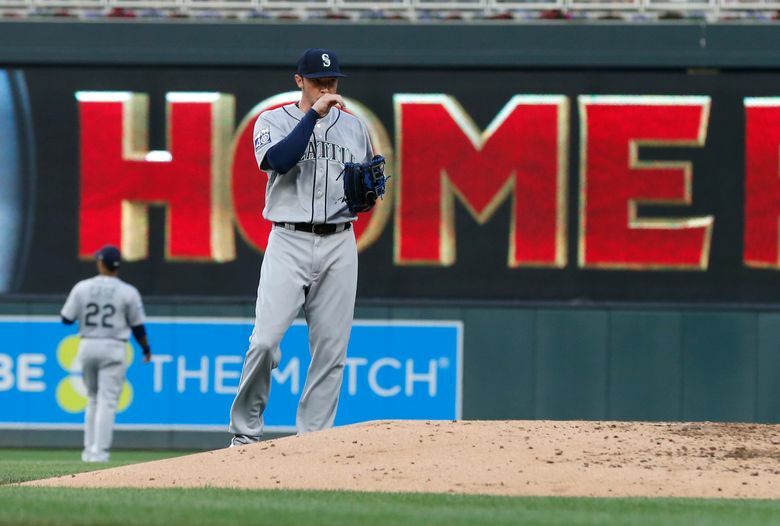 He had four different stints with Seattle: May 17-June 2, June 12-13, July 28–Aug. 15 and Aug. 19-end of season. During his time with the Rainiers, he posted a 2-4 record with a 4.08 ERA in seven starts and four relief appearances.